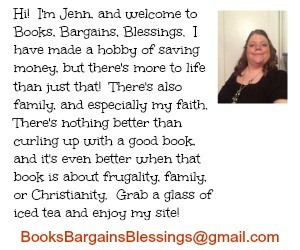 Books, Bargains, Blessings: First time, disappointed with something free. First time, disappointed with something free. I'm a firm believer in NOT COMPLAINING about free stuff. If a company is generous enough to give it away then I believe a person should be happy with it. 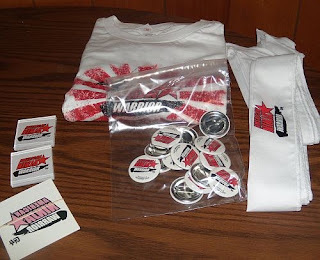 I've received some odd freebies over the years. Like the Arm and Hammer Shaker. What did you do with that? I've received weird t-shirts, weird mouse pads, etc. But they are free, and I don't complain. . . at least when there are no strings attached. With House Party you are expected to host a party with the supplies given. I've had some great parties. When I saw the American Ninja Warrior party, I applied to host, knowing that the box wasn't as good as some in the past. Well, first off, I'm still clueless as to how we're going to be watching the American Ninja Warrior show because there was no DVD included. House Party has yet to fill the hosts in on how this will be accomplished. I did receive an e-mail saying we'd get details at a later point. A number of my friends have asked if they can dress as Ninjas to my party. I said that was cool. I may have more Ninjas than I do headbands. Now, if I end up with six Ninjas, I won't be able to pass out a headband to each. I'm definately disappointed that the box only allows for 1 in 3 party attenders to receive a headband. I'll come up with a solution, I'm sure, but I'm not happy about 10 guests not receiving headbands. And it's not like something I can buy since these were made specifically for the party. I saw the House Party thing too - but didn't want to have people over to my messy house! Will definitely be watching it since I am hoping when they show the audience Jacob will be in it. That is odd that they were stingy - the filming for the tryouts in California was awesome - free ninja photos, free temporary tattoos (it lasted over a month on me! ), meet n greet with the winners etc.